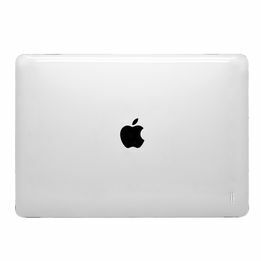 Ultra thin and minimal, this Aiino hard shell cover guarantees the total protection of your MacBook from any kind of bump and scratch, perfectly adhering to your device without altering its thickness. The glossy finish of this cover will give your MacBook a touch of elegance. It is also equipped with little supports that guarantee a better stability on every surface thanks to their non-slip rubber coating.